I made this cake for a family picnic and everyone loved it. 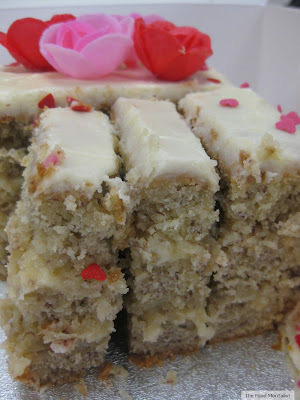 It isn't an overly pretty or decorated cake per se but it's flavour more than makes up for this. I was first drawn to this cake when I purchased Saved by Cake by Marian Keyes - Over 80 ways to bake yourself happy. Marian introduces the cake by including the text message from her friend Julie a couple of hours after she had dropped some around to her. OMG, orgasmic and scrumptious were some of the terms used, and so I knew I had to try it. The result, was just as the text message conveyed - delicious and irresistible! I hope you enjoy eating this cake as much as we do. 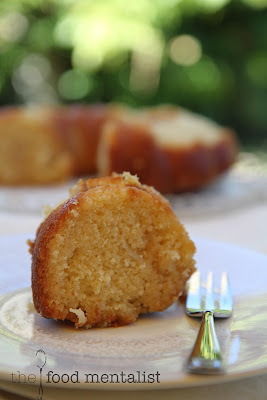 I have also made mini versions of this cake with wheat & gluten free SR flour and it works just as well. Adjust the cooking time by one third if making a cupcake version and test using a cake skewer to ensure it is cooked through. Beat the butter and sugar together until pale and fluffy. Then add the eggs one at a time, beating well with each addition. Stir through the vanilla. In another bowl sift together the flour, salt, baking powder and coconut. Pour about one third of the coconut milk and one third of the flour mixture into the butter mixture. Fold through and continue until all the ingredients are combined. Spoon mixture into the prepared cake tin and bake for approximately 1 hour. Meanwhile, start the syrup by combining the coconut milk and sugar in a saucepan and heat gently until the sugar is dissolved. Bring to a quick simmer to thicken slightly then turn off the heat. When the cake is ready take it out of the oven and prick it all over with a cake skewer, leaving holes for the syrup to leak in to. 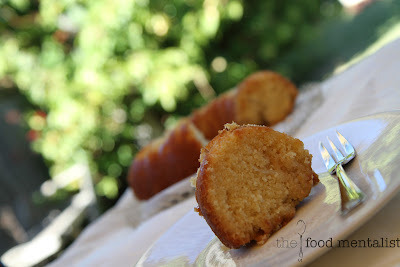 Pour half of the warm syrup over and wait for 20 minutes or so then pour the remaining syrup over the cake. Leave the cake in the tin to cool. Because it is so moist you have to be really carefully turning it out. I have also made this cake by first turning the semi-cooled cake out onto a cake platter and have then spooned the syrup over. This way you can avoid the possibility of some the cake sticking to the base of the pan. Oh yum. 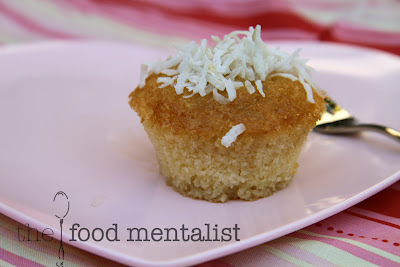 I love coconut and to combine that with a syrup style cake, hello!! I love this cake, Erin. I LOVE a syrupy cake and this one certainly fits the bill. Oh, wow! This sounds so great! I love cakes with syrup. YUM! hello was wondering what you do with the other 2/3 of coconut milk and flour?? Love the looks and sound of this cake. And what a treat to discover your blog--a delight!